Yes, dear reader, it's Safety Day. It was boring when you were in elementary school, boring when you were at orientation for that new job, and boring now. It's a dry topic, but one that I am truly passionate about. So, since my readership stats can't really get much worse, I present to you, the Safety Series. Today, we establish the right to make assertions about other people's decision-making, and postulate a primary driver of bad decisions: happy brain juices. 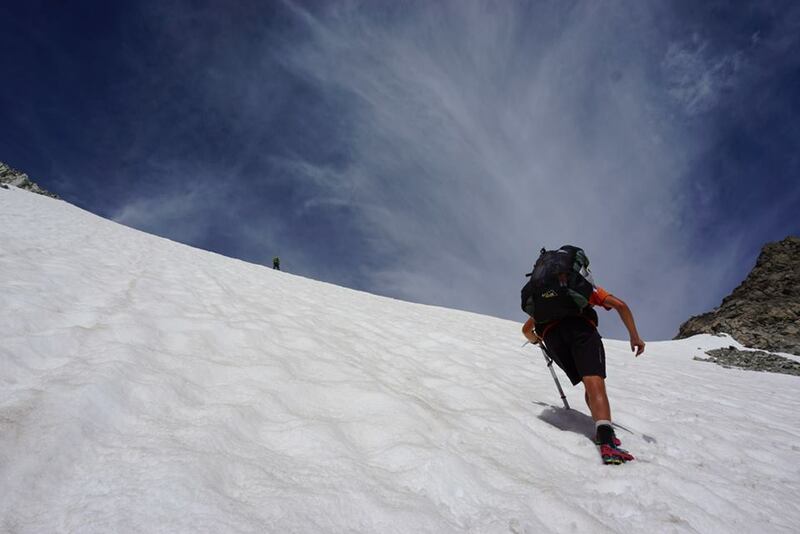 "Hike your own hike" (HYOH) has become a bit of a mantra in the backpacking world. Simply put - do whatever you want, as long as your activities don't endanger others or ruin their experience. Want to hike with 60 lbs of stuff on your back? Fine. Always take side trips to scenic overlooks and make little forward progress? No problem. Hike 30-mile days and never stop to "smell the roses"? Go for it. In principle, I agree with the, uh, principle. But HYOH frequently becomes a conversation stopper. Think that I'm making a bad choice, that my actions will put me or others in danger? Notice that I'm damaging the environment by building new fire rings or inadequately burying my poop? Hike your own hike. Get off my case. You have no right to tell me how to act! Perhaps it's a symptom of the morally relativistic culture that we live in - that it's often taboo to advocate for a universal set of concrete behavioral standards. But that's a rant for a different day! “Why?” Because not only have you put yourself at risk, you’ve potentially also placed the Search & Rescue (SAR) workers that have to come and find you in danger. “Isn’t that their job?” No, it’s not. At least it shouldn’t be. These individuals have more than enough to do as it is; the last thing they need is to be spending time and resources looking for ill prepared hikers that more often than not have no one but themselves to blame. I believe he's completely correct about this. But sadly, I think he's preaching to the choir - and so am I. The reality is that those who make unwise choices in the backcountry usually aren't simply miscalculating the risk that their activities carry. Rather, they're failing to consider the risk in the first place. It's easy to overlook safety in the moment, when we're just a few hundred feet from the summit, a few hundred miles from Canada, or standing at the top of a few hundred feet of steep, pristine powder. The "lizard brain" part of us takes over, we get caught up in enthusiasm, and before we know it, we find ourselves in bad situations. I traversed that steep, snowy sidehill. No microspikes. Probably wouldn't make that same decision again. That's why I believe in making all the important decisions ahead of time. I frankly don't trust myself to make good decisions when my system is pumped full of dopamine, adrenaline, endorphins, or any other happy brain juices that come from being in the outdoors. It's not because I'm uniquely weak, it's because I'm a homo sapiens. The human brain just isn't good at processing low-probability, high-consequence events. And even less so when we're doped up. So I believe in making as many decisions as I can while sitting on the couch, when I can engage in the cold, rational calculus that keeps me alive in the backcountry. And then, when I'm in the moment, I can simply apply the decisions I've made to the situation I find myself in. Navigation: What Do I Need? Each rule of thumb will get its own post. Stay tuned!